I’m back in the U.S. It’s been a crazy whirlwind of a few days, to say the least. First, the long flight back. Then getting settled in at my oldest son’s home. Making a quick run up to Santa Barbara to visit with my granddaughter before she moves out of State. Adjusting to the small, but still discombobulating time change. 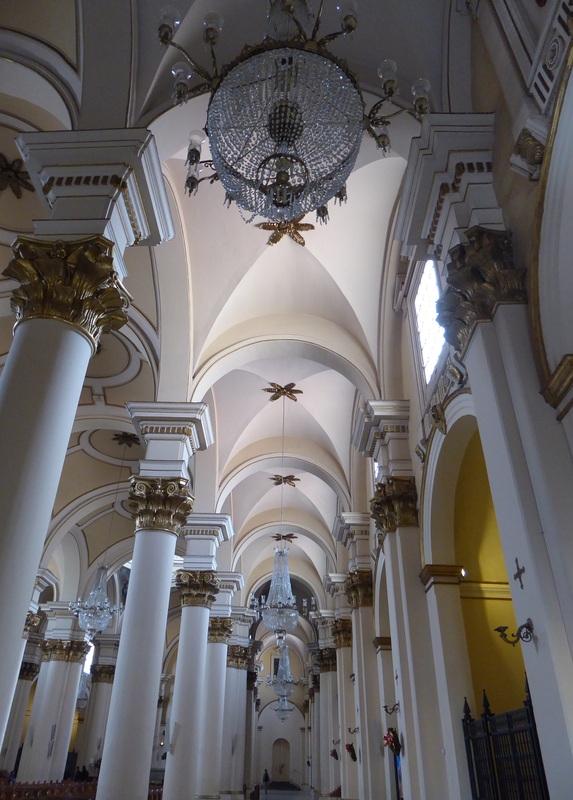 Anyway, I’ve finally got settled in enough to reflect on my time in Bogota and to share a few pictures and thoughts with you. 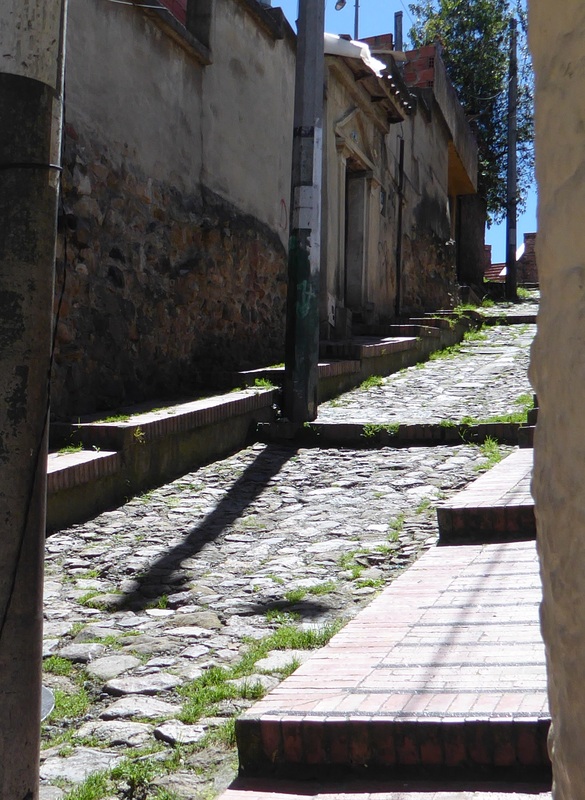 ….and around the corner. 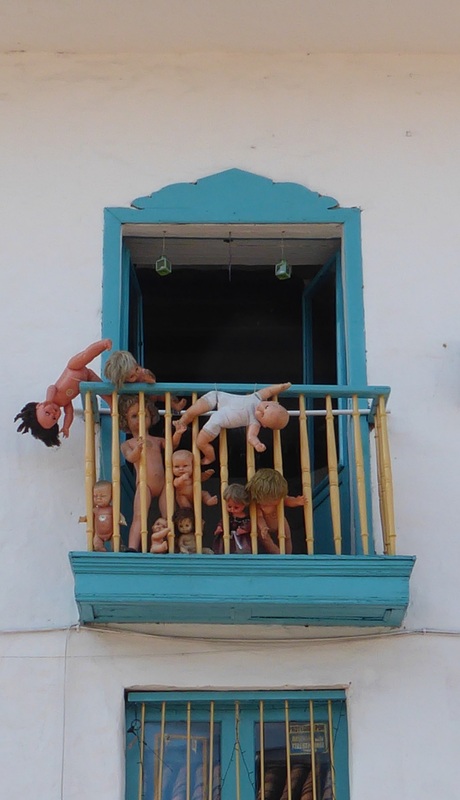 As I’ve said before on this blog, I’m not a big fan of dolls, so I think this is a pretty good use for them! Here are a few pictures of the town square. 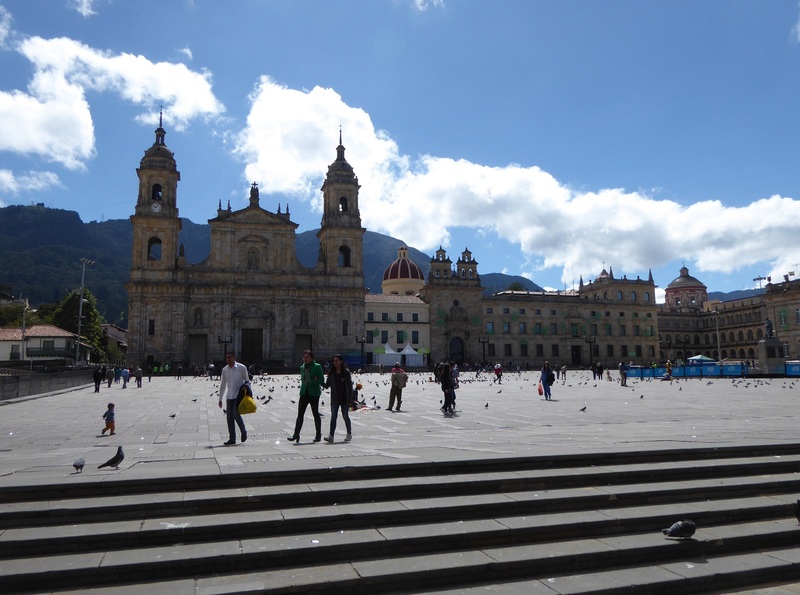 It’s called Bolívar Square, named after Simón Bolívar who was a driving force in liberating several South American countries (including, of course, Colombia) from Spanish rule. 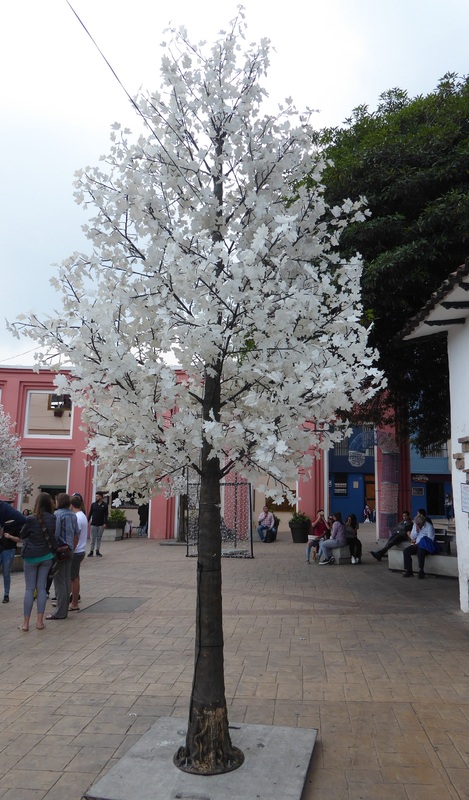 On the way toward Bolívar Square, I would pass by the the museums I wrote about in my post titled “El Dia de los Museos…” However, in that post I forgot to show you the art that was outside the Botero Museum. I think this is so cool. 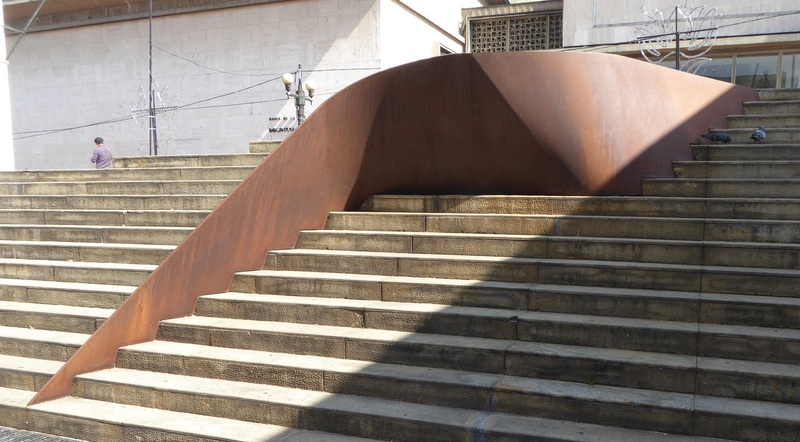 I’m pretty sure it’s steel – it’s got that rusty patina. 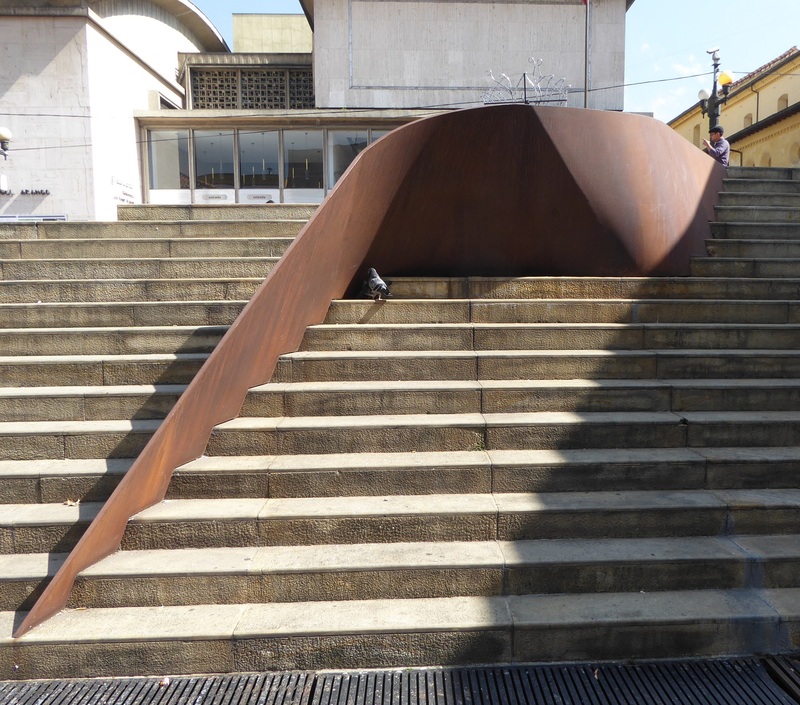 Just a big sheet of steel sort of snaking its way down the steps. Really neat. 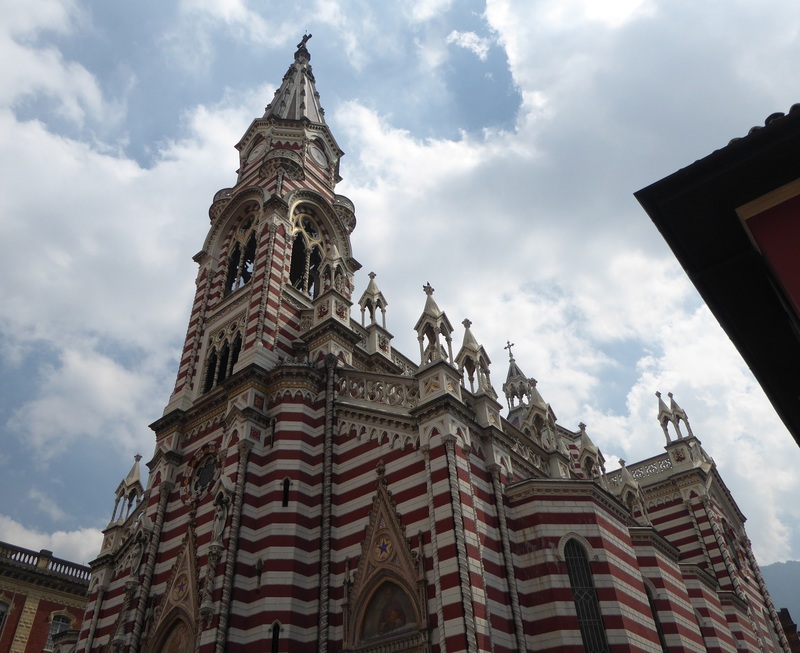 Of course, Bogota has its churches. There’s this unusual looking one…. And then here’s this ridiculously ostentatious one. 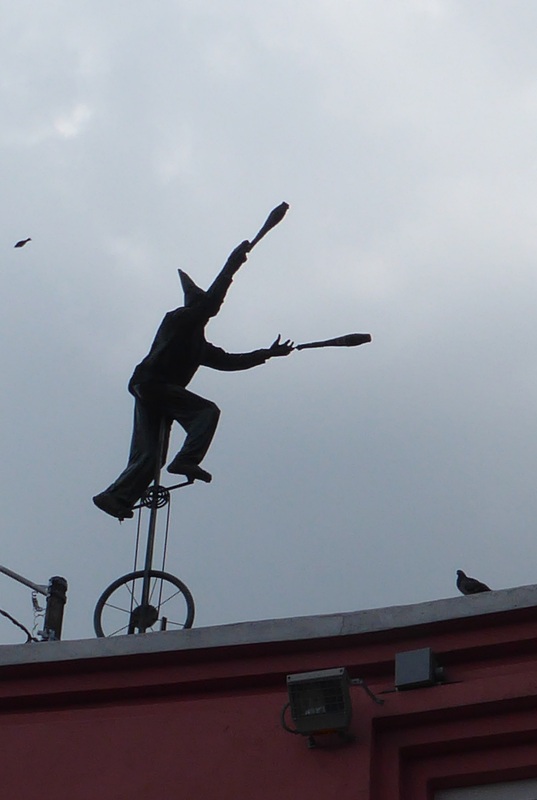 …this is the view from my hostel window. 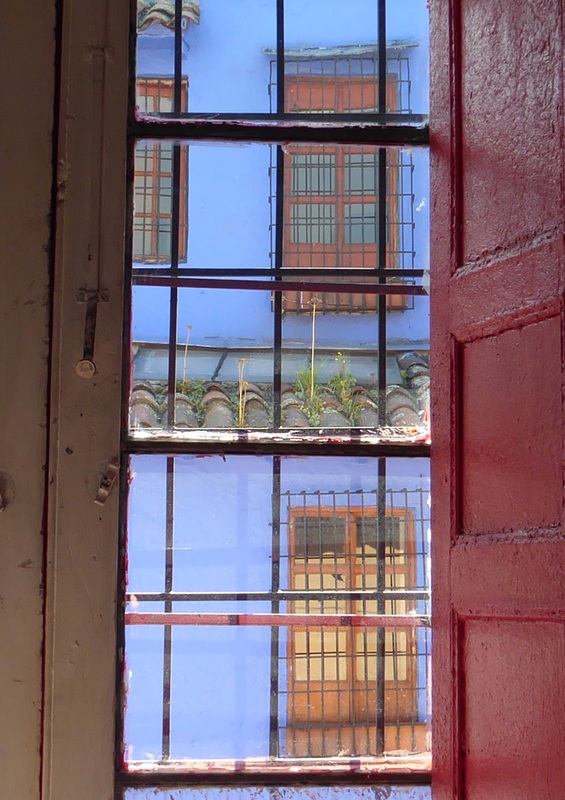 I love all the colorfully painted homes in Bogota and here are a few. One of the favorite things I do in any town or village, any city anywhere I travel is simply to walk around. You get to see folk eye to eye and say hello, you get a sense of the pace of a town, you can stop and take pictures and not zoom by as you do in a car or bus. It’s a simple pleasure, but it’s one I enjoy. I love the patina of these two doors. Okay, by now I’m sure you’re getting the idea that…..
…most of the time. It’s definitely artful. 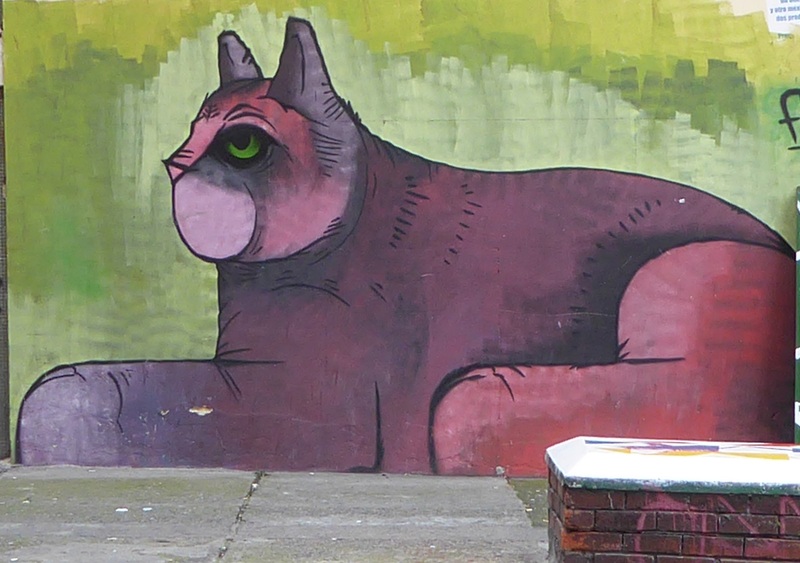 Here are a few murals I especially like. A work in progress. I love the water color feel of this one. This reminds me of old copper. So, in all that, I’m sure you saw Michael Jackson, but did you see Stimpy? Did you see the guy sleeping on the divide in the freeway? 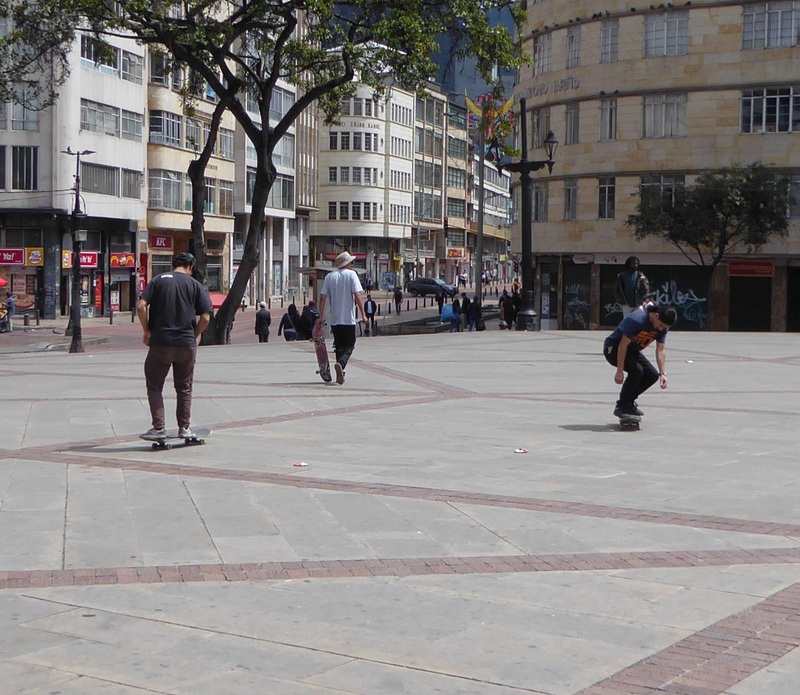 Bogota is a modern city and home to about 8 million people. I took these two photos from the top of the building where the Emerald Museum was. This is one of many city parks. 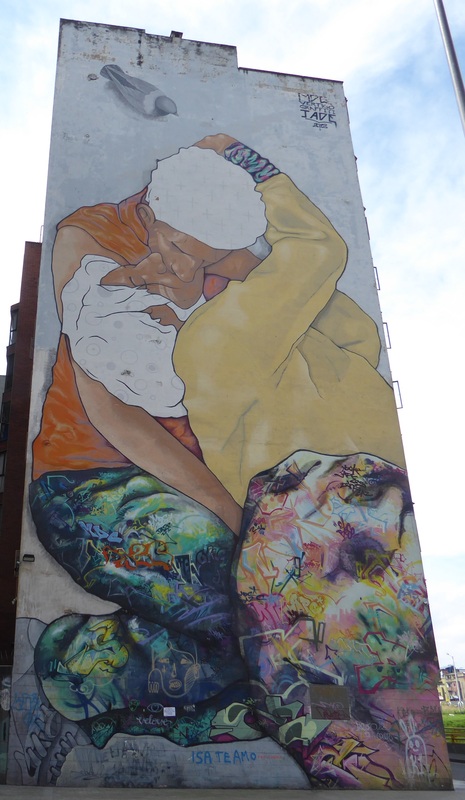 I stumbled upon it while strolling around looking for murals. I really like this blue and green building (as buildings go). You’ll see something like that, then turn a corner and find a scene like this. 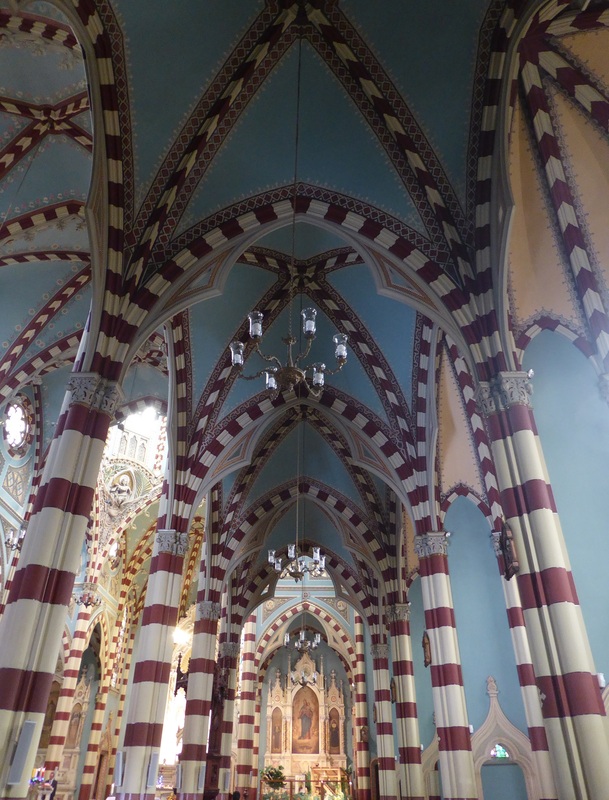 Beautiful columns on an old building. 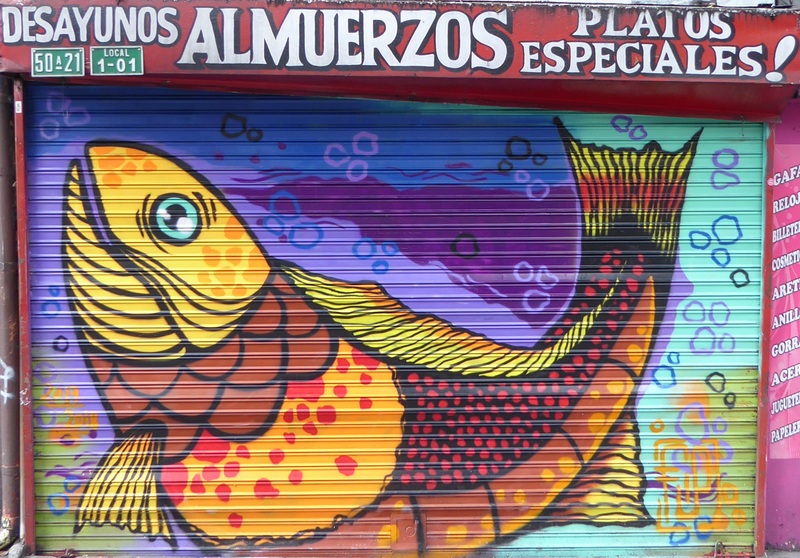 By the time I arrived in Bogota, the notion that I’d be returning to the States was invading my mind. I’d try to shake it off and just be completely where I was, but at times, it was difficult. I wanted my travels to continue. But, I wanted to see family and friends, too. I’ve talked with many another traveler who’s had the same experience. I guess it’s normal. 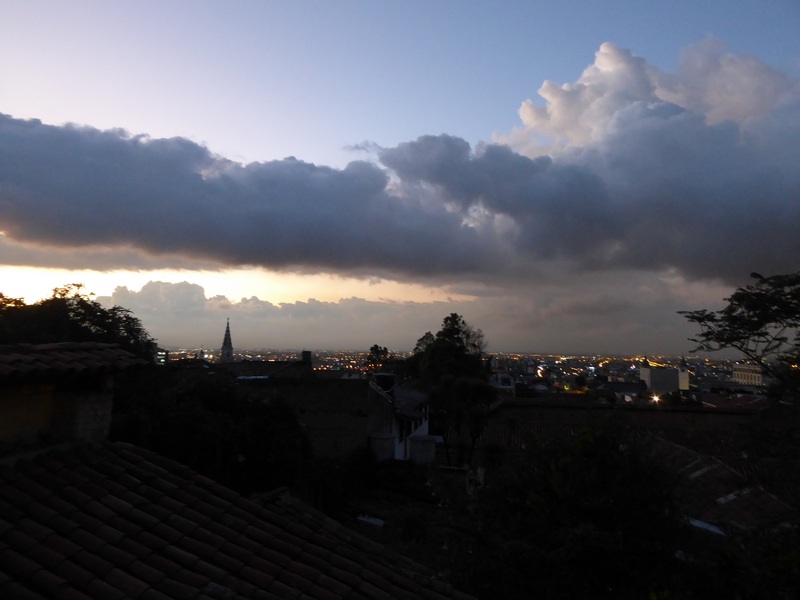 Maybe what I’m trying to say is that while I was in both Bogota and Medellin I had a sense of melancholy. I kept to myself a bit more than I normally do (which is actually quite a lot, anyway) and just wandered around. I didn’t do the “normal” tourist things in Bogota, but I don’t necessarily travel somewhere to do the normal tourist things, anyway. 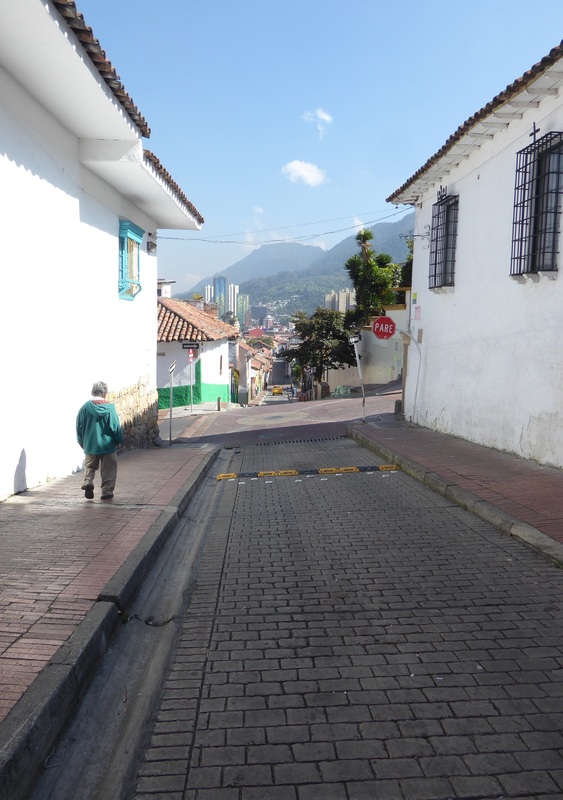 Bogota is an easy city to walk around in and, wow, will you get your exercise! Lots of hilly streets. Also, there are many street vendors everywhere from whom you can buy freshly cut fruit to munch on while you stroll around, which I loved (not so common in Medellin). I wish we had that sort of thing in the States. This is something I would not have thought I’d see. Nescafe? Really? But, I’m told most of the good coffee is shipped outside of Colombia. I’m no coffee connoisseur, so it matters not to me. 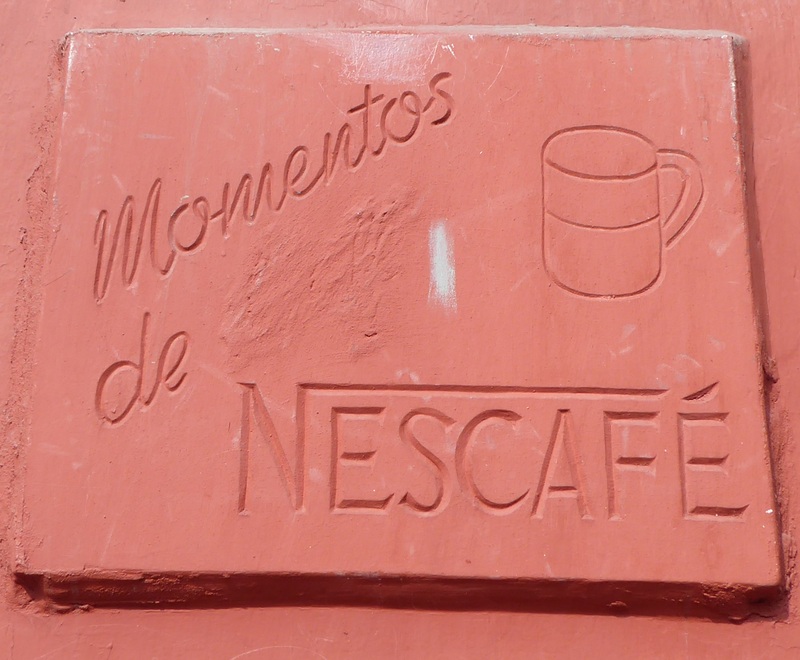 But, still….Nescafe? 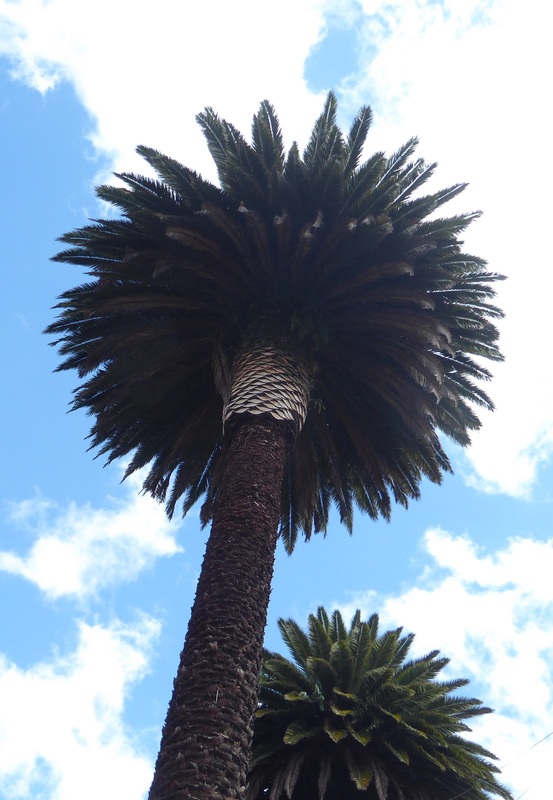 I think this may be the most neatly trimmed palm tree I’ve ever seen. 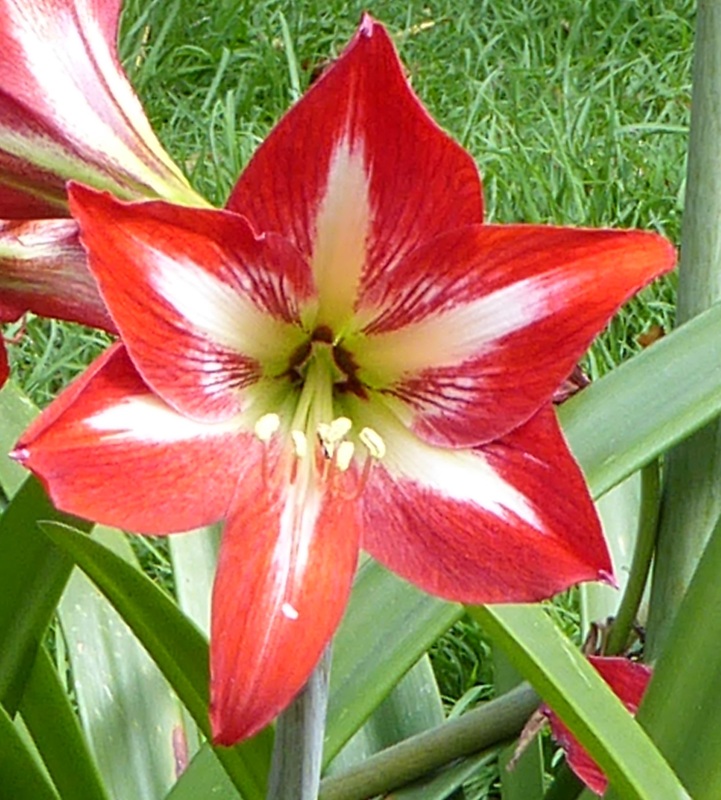 An amaryllis, just in time for Christmas. Juxtaposition of old and new. This photo’s for my son, Paul. He’ll get it. This one reminds me of a photo I have in this post from Ha Noi. One thing I couldn’t avoid doing (due to sheer lack of willpower) during my last few days in Colombia was to eat as many buñuelos as humanly possible. Oh, my lord, they’re delicious. They’re basically big balls of fried dough, honestly. But the dough has Costeño cheese in it, which is a very mild cheese and, if I hadn’t been told, I’m not sure I would have been able to identify it as cheese at all. 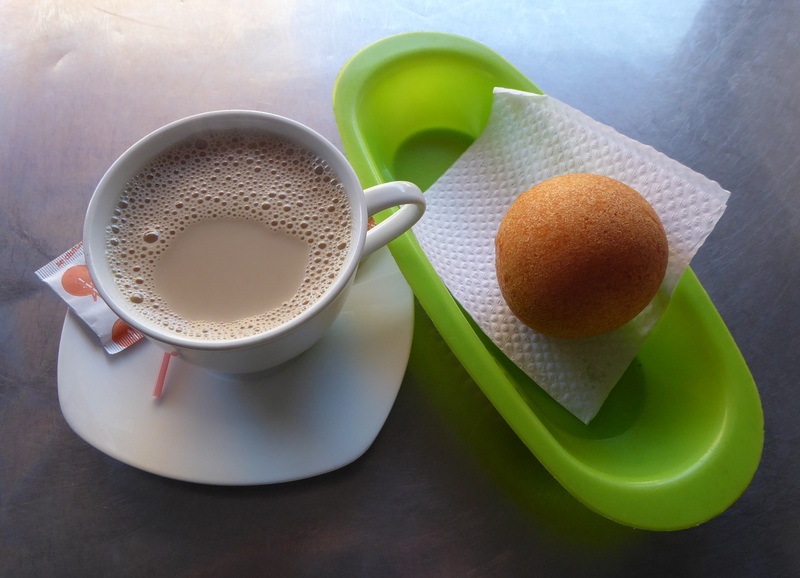 They are incredibly yummy and, served hot with a cup of café con leche? Heaven. So, I think my posts may be a bit more sporadic (than they already are) for a while. My activities will, I think understandably, be more family centered. I’m sure we’ll go places and do things now and then that may be “blog post worthy.” But, mostly, it’ll be school and work for the kids and grandkids and digging in the garden for me. 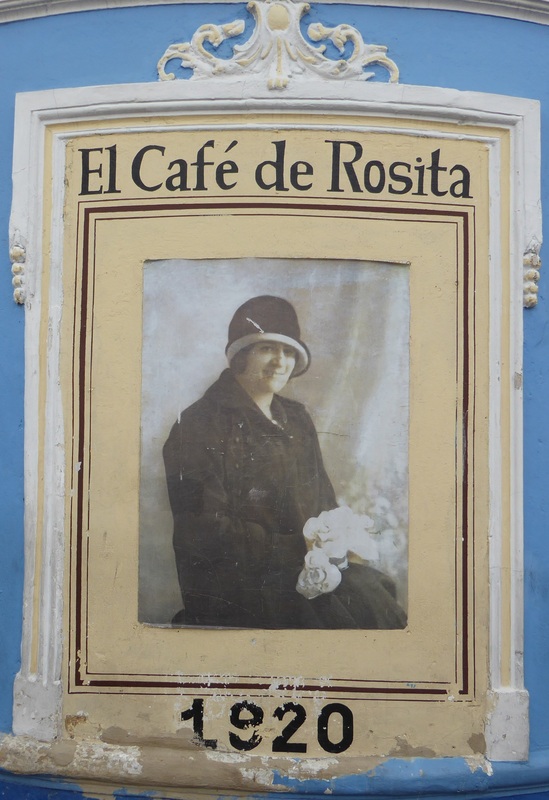 I can’t put into words how wonderful it’s been to roam around South America. What beauties I’ve seen and heard and smelled and felt! I’m looking forward to more travel in the future – hopefully later this year. But for now, I just want to thank you for following my blog. I so enjoy sharing my photos and experiences with you. Please stay tuned! Good night, South America. I miss you already and hope to see you again soon. Somehow your last few posts won’t load. My screen freezes. Nothing happens. I’m tryin! That’s so weird. Thanks for letting me know, Jim. Maybe I’ll forward your comment on to WordPress and see if they can figure it out. Thanks for trying – I appreciate it! Thanks for the heads up, Jim. It was totally User Error! So beautiful and interesting! 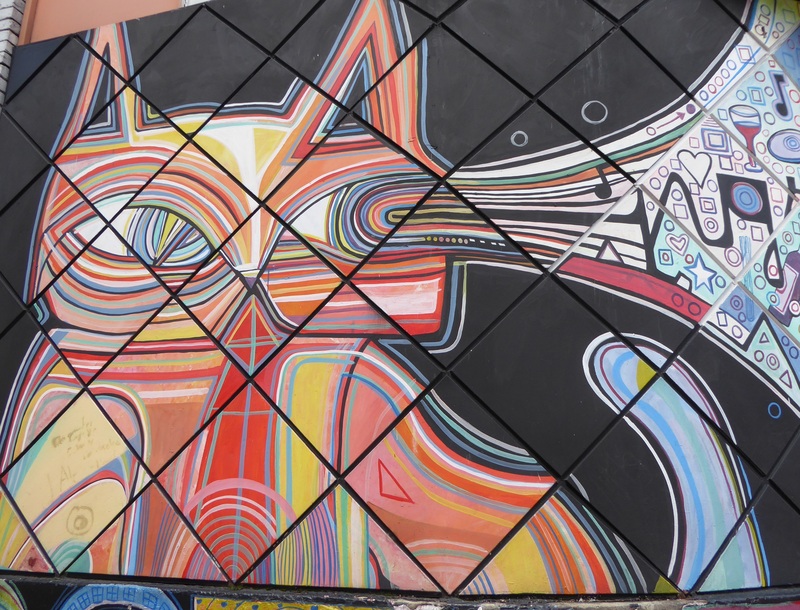 The murals and buildings, the paint colors on the houses…maybe it’s seeing them all at once in this ‘condensed version’ of the city but it makes it seem like there’s something gorgeous and fascinating around every corner – is that how it actually was? Makes me want to go, for sure! Beautiful trip. I love the architecture and many colors. Interesting how different culture bleed over into one another. Lincoln? I wonder who or why that popped up down there. I get the Michael Jackson mural, but Lincoln.. Maybe for being a primary contributor to abolishing slavery? Obviously affecting much of the world. Glad your home safe. We’ve got a spare room if you decide to come through Springfield. Love ya. Love you, too, Sweetie, and thank you! Actually, the Lincoln thing was an English language school, but it caught my eye – he’s always been my favorite Prez. But, there’s a statue of Lincoln in London! Springfield in the house, what what?! Absolutely beautiful. Thanks for sharing these photos! So much art! When I get home I’m going to take my time reading & looking more into the pictures! 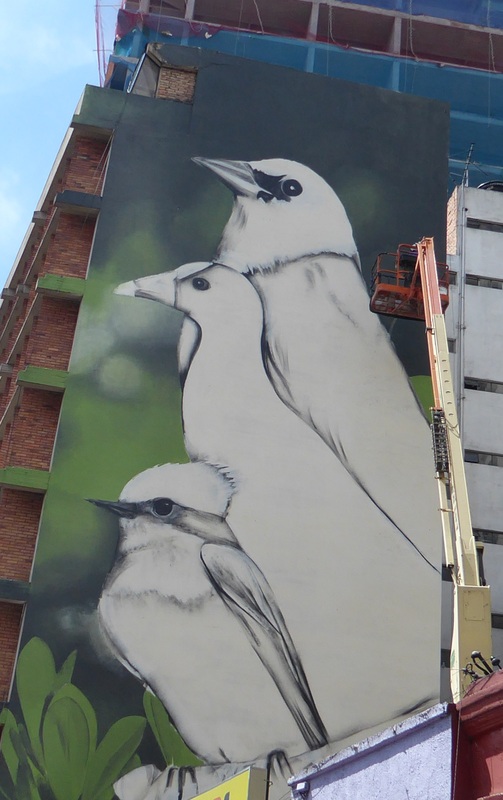 Bogotá is an interesting city for sure, especially with its wealth of street art. I love just wandering around the streets of a new (to me) city and making new discoveries as well. 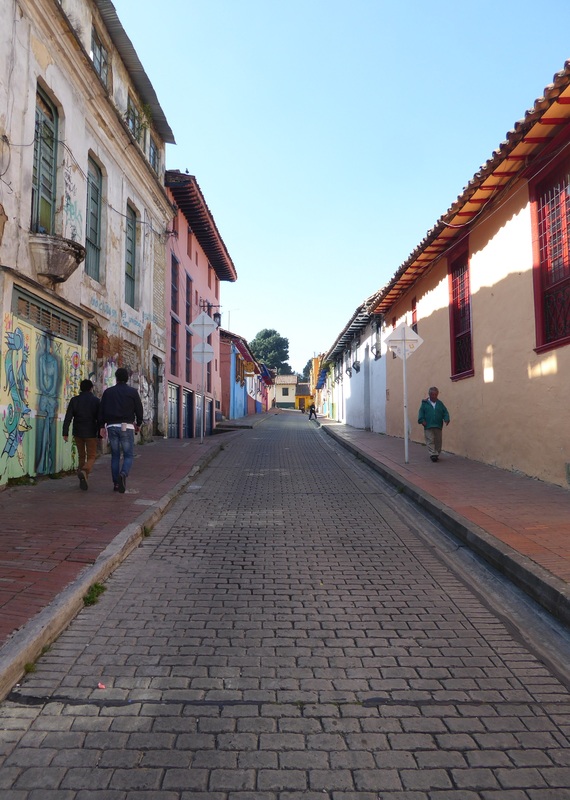 I’m thinking about moving there from the small Colombia town where I’m now living which is being turned into a concrete imitation of its quaint, colorful former self. I’m sorry to hear any town is turning into a concrete imitation of its former lovely self. 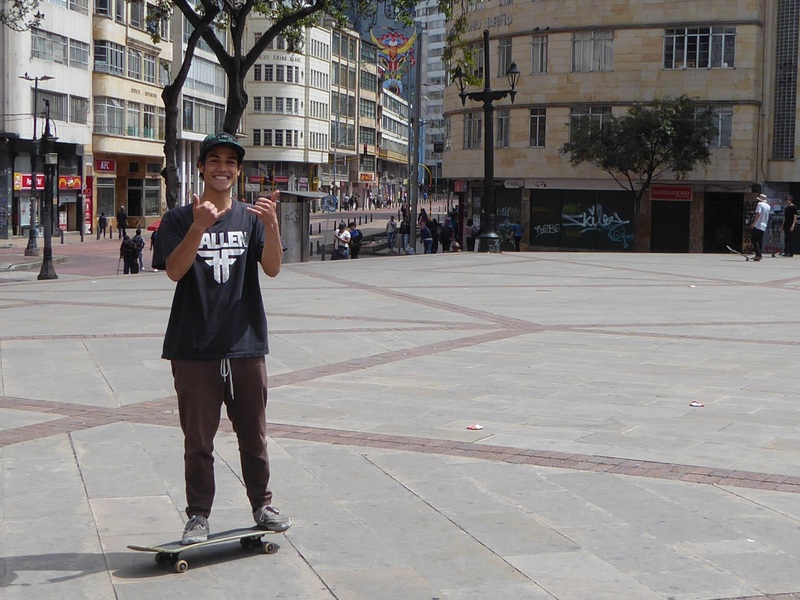 But I agree Bogota is a wonderful alternative. I just loved it.